The 10×12 shed is a mid-sized, outdoor storage solution that provides ample space to store your lawn and garden equipment. All of our sheds come wired for electricity so regardless of what you put in your shed, you’ll be able to easily find what you’re looking for. 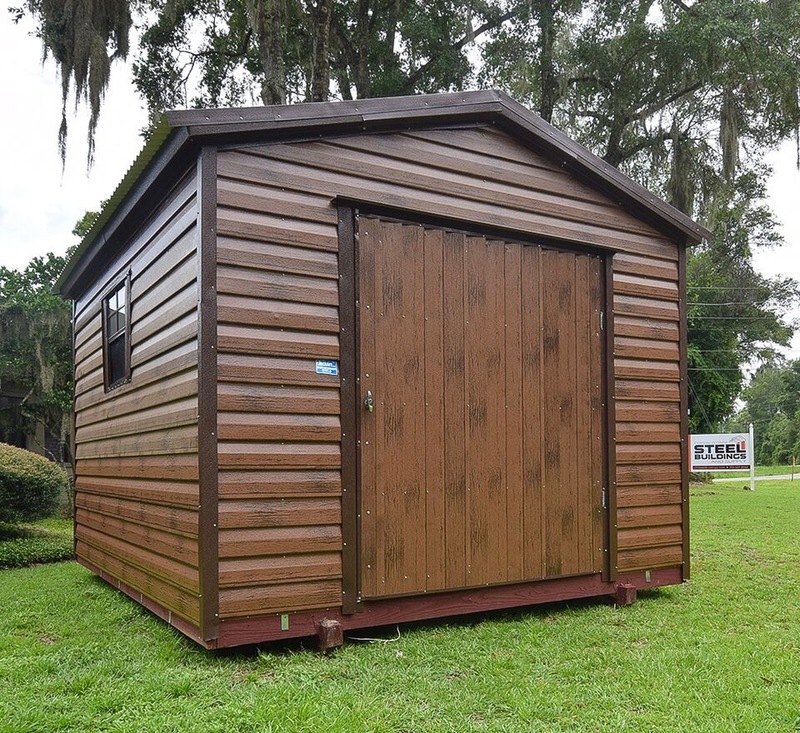 We carry an inventory of sheds onsite at our Ocala, Florida location or you can custom order a shed to your specifications. Let us know what you are looking for by filling out the form above and we will be in touch with pricing, availability and custom ordering options.